Episode 33 of DreamPod is here, and once again it’s a total blockbuster! Regular hosts Tom and Ross are joined by Falco Girgis and Patryk Kowalik, the lead developer and lead artist from indie game developer Elysian Shadows Team. 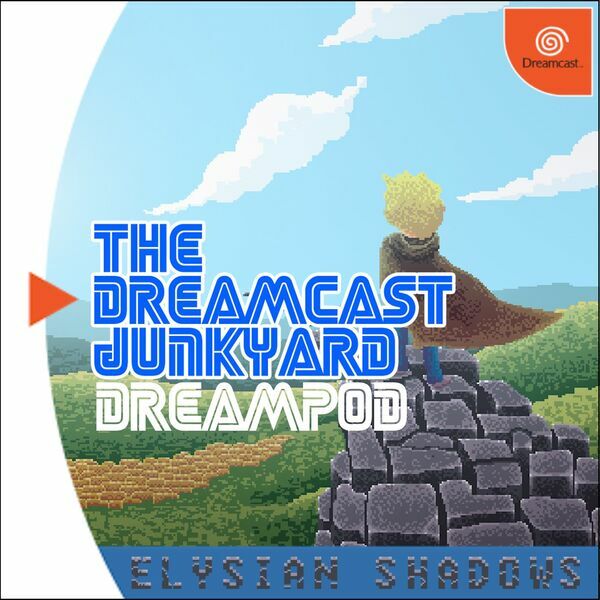 In this episode, no topics are left untouched as your hosts and guests discuss the development of one of the Dreamcast’s most hotly anticipated games - the Kickstarter-funded RPG Elysian Shadows. The pressures of running a Kickstarter, the former team members, those photos with Zoe Quinn, hair transplants, fungal infections, the internet hate campaigns and the real life stresses of running an indie development studio are all discussed with Falco and Patryk. More importantly, the groundbreaking nature of the Elysian Shadows Tool Kit (ESTK) and the power it will deliver to other indie developers; the brand new ElysianVMU visual memory emulator, and of course the game itself, are all explored in depth. Anything you ever wanted to know about the beginnings of Elysian Shadows - and indeed what the future holds - is discussed in episode 33 of DreamPod. You simply cannot afford to miss this one!